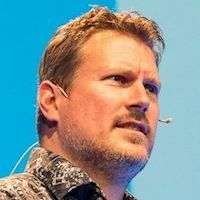 Pete Jenkins is an international speaker, adviser and trainer in Gamification. Pete took the number one spot on the "Gamification Gurus Power 100" in February 2016. Pete founded his company GAMIFICATION+ LTD in 2000. He has since advised and trained companies of all sizes, both in the UK and internationally, on the use of Gamification. Pete is Chair of GamFed (the International Gamification Confederation). At GamFed he helps spread the use of gamification best practices to benefit as many people and businesses as possible. Pete has been Entrepreneur in Residence at the University of Brighton for 9 years. As well as researching gamification for HR at CROME (the University's Centre for Research on Management and Employment), he lectures on gamification and entrepreneurship at undergraduate and postgraduate levels. Pete is Chair and Organiser of Gamification Europe, an annual conference for Gamification practitioners. The last conference was in November 2017 at the British Airways i360 in Brighton, UK. Pete is also Practice Director, Gamification at Intelestream Inc. in Chicago, USA. A strategic advisory company in the CRM space. Intelestream Inc. is a Chicago based Customer Relationship Management (CRM) product development and consulting firm and recently launched Splash a gamified onboarding and goal setting app for SugarCRM. Over the past 15 years Pete has built and sold two businesses. One was in security software and the more recent one was a telecoms and internet connectivity business. He is also an Ambassador for Brighton & Hove Chamber of Commerce.